MAP+ is our Web GIS environment. Previously, the offering included Web GIS software and data access to OSM + and the TYDAC POIs. 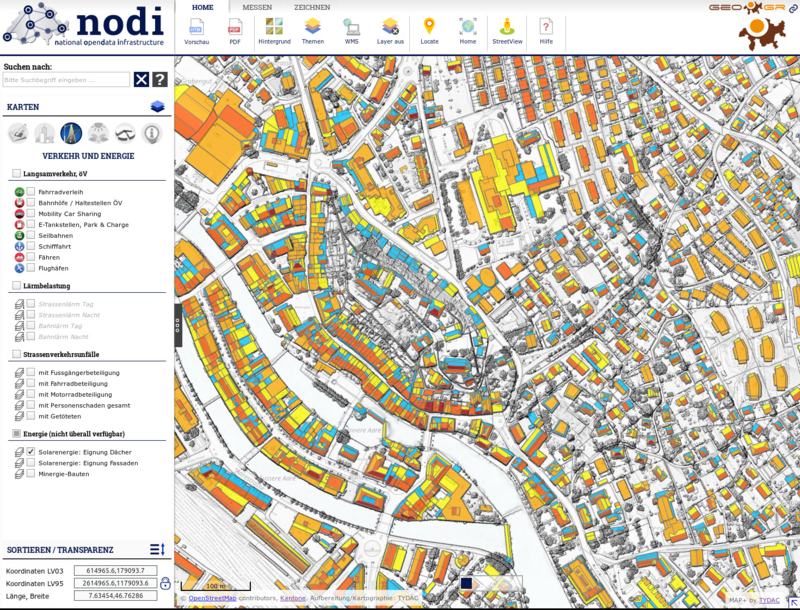 With NODI and the editing options, we also offer a greatly expanded version: MAP+ Pro. Users have access to all available data always up-to-date and in a user-friendly interface. The effort to provide and integrate the foreign services is obsolete. The data is just there - up-to-date and properly configured. Thanks to pre-configured mashups or storymaps, customers can put their data in the correct context and create maps without any additional effort. 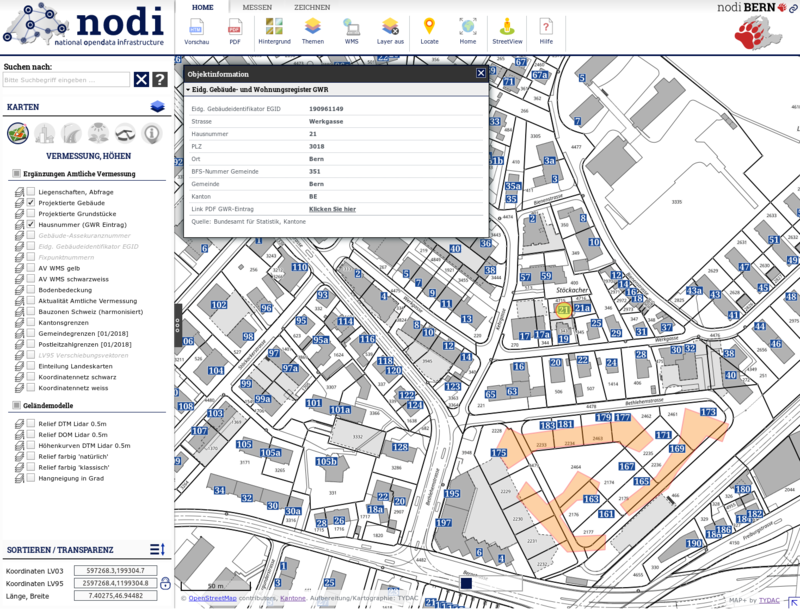 The greatest benefit we see for municipalities and utility companies which are based in cantons with open data policy. National providers of real estate, communications, transport or utilities also benefit from free access to geodata, primarily from free access to official surveying. Today, Open Geo Data covers around 75% of the population and two thirds of the area. What does MAP+ Pro provide? MAP+ Standard and MAP+ Pro are offered as SaaS (Software as a Service) . Means: no large initial investments, manageable fixed annual costs. We are not a public administration, but there is nowhere written that private may not offer service public. 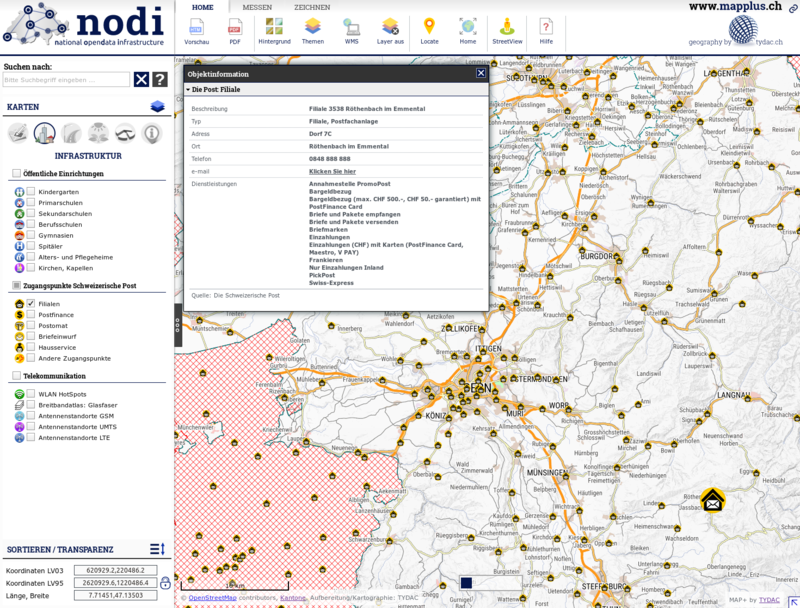 Beside www.mapplus.ch, which was as well improved, NODI Switzerland, NODI Bern and NODI Zurich are publicly accessible. There are now 14 cantons (12 plus 2 halves, BL and BS) and some federal agencies offering geodata as open data (or under similar conditions). In total, the 14 cantons cover 75% of the population or two-thirds of the national territory! But: So far, there was no Web GIS application or site integrating and illustrating all this data in one place. nevertheless, the delivery was very quick everywhere. Compliment to the cantons! out of the 959 available, we tried to integrate the ones that are useful - like: Bündnerfleisch tastes excellent, but where it comes from everyone knows ... Does anyone miss something? Feedback welcome! We integrated the TYDAC POIs collection, probably unique in Switzerland. from scales 1:15'000 to 1:2'000 we used the norm "Basisplan"
for scales > 1:2'000 we used the norm "Plan für das Grundbuch"
Some cantons offer comprehensive data collections and/or WMS services. We have collected them and put together a comprehensive solution based on MAP+. Other cantons are under work. Of course there is no NODI Grisons, but there is GeoGR, as well in italian. And here the link to the GeoGR Shop. 99% bilingual de/fr, as well all WMS and legends! NODI Zurich is a little less extensive than NODI Bern. However there are aerial photographs 2014/15 and 2015/16 and numerous WMS of the canton.